Yet another giant of the Living Stereo series. The Isle Of The Dead is a truly awesome orchestral spectacular with dynamic peaks that will stun most listeners. Also included is the equally stirring version of Rhapsodie Espagnole. 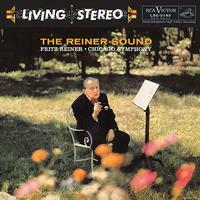 For some, the most iconic of the Reiner Living Stereo series, has had multiple iterations on independent audiophile vinyl, but never made the cut for RCA's own SACD series, despite many requests. So now SACD fans will have a chance to hear these amazing performances. By the way, has anyone considered Hovhaness/Stravinsky Mysterious Mountain/Fairy's Kiss? That happens to be the only purely orchestral Reiner/CSO recording to remain active in the full-price Red Seal catalog and never downgraded to mid-price through to the end of RCA's lp era. Must be a reason for that. And it did well when issued on CD. It's time for this classic to get the full bore audiophile treatment on vinyl and SACD.